Kids, it's time to start your machines! Sewing machines, that is. 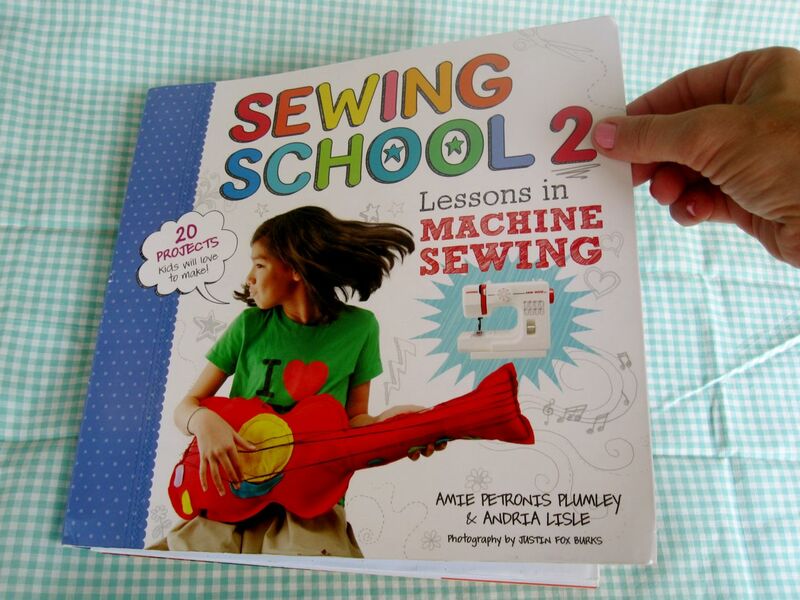 Welcome to Sewing School 2: Lessons in Machine Sewing. I am so pleased to give you a little tour of the book and show you some favorite parts. 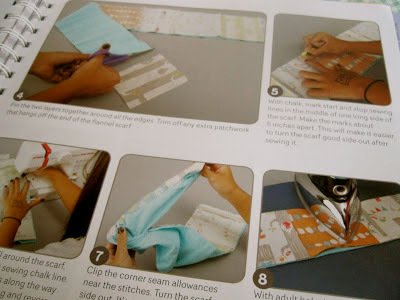 While working on Sewing School, we introduced an "Advanced Sewing School" Camp focused for older kids and machine sewing. The kids were so excited! 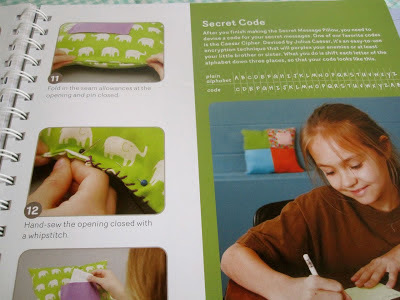 As with handsewing, we started to learn tips and tricks for teaching kids to machine sew both successfully and safely. 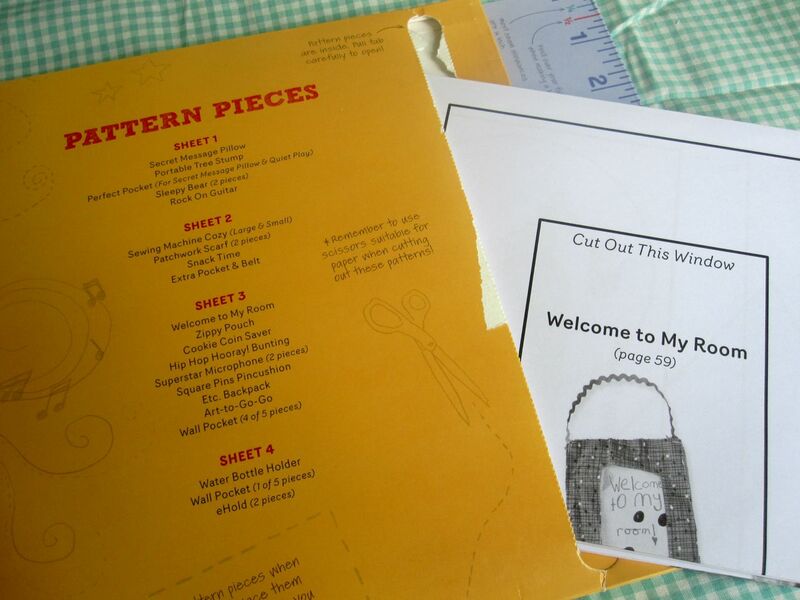 We also began to develop kid-friendly sewing machine patterns that follow the Sewing School mantra of "nothing has to be perfect" and "sew things that are useful." What we arrived at is Sewing School 2: Lessons in Machine Sewing. 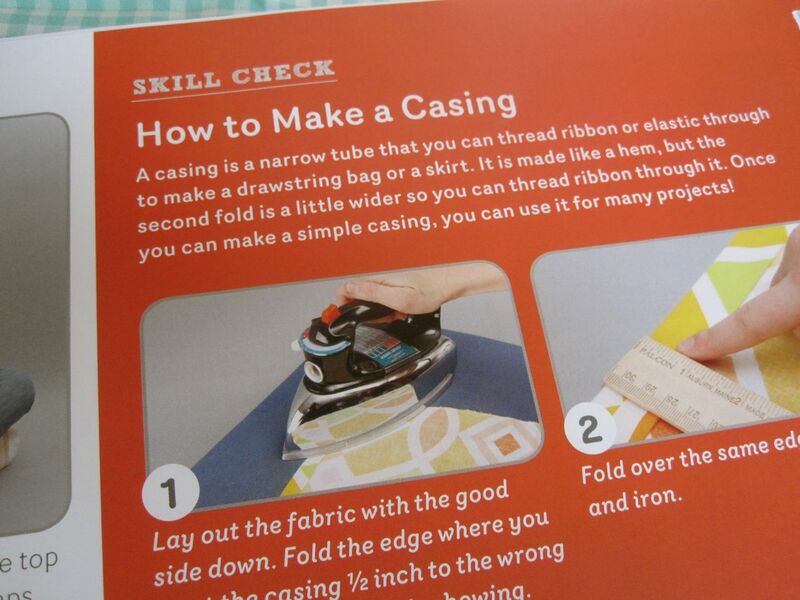 The format is very similar to Sewing School. It's just what we wanted it to be - fun, informative, and full of creative kids and ideas. The book is admittedly a little introduction heavy, but we really wanted to teach kids something and not just have them flounder their way through the book. There's a great adult introduction as well to assist those grown-ups who may be a little weary about sewing on a machine with kids. Don't worry, you can do it! 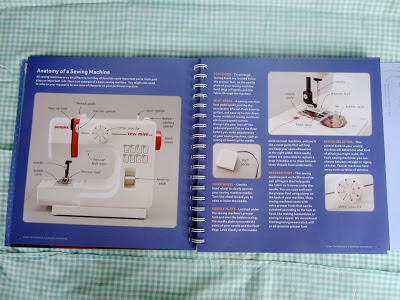 The book is filled with great photos of the various sewing machine parts and we walk kids through the basics of threading and operating a sewing machine. We even have an "oops!" section. The projects are broken up into photo-illustrated steps so that kids can really see and understand what to do. At the beginning of each project, you'll find out exactly what materials and skills you'll need. There's also a short note for grown-ups to help guide adults who are sewing with a child. 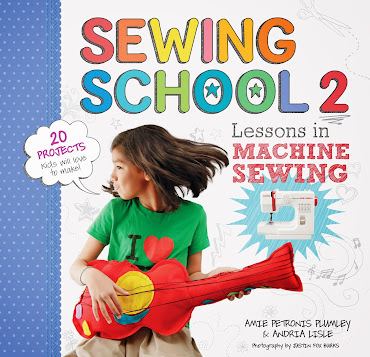 Sewing School 2 is a little bit older in scope, meant for kids aged 7 and up. 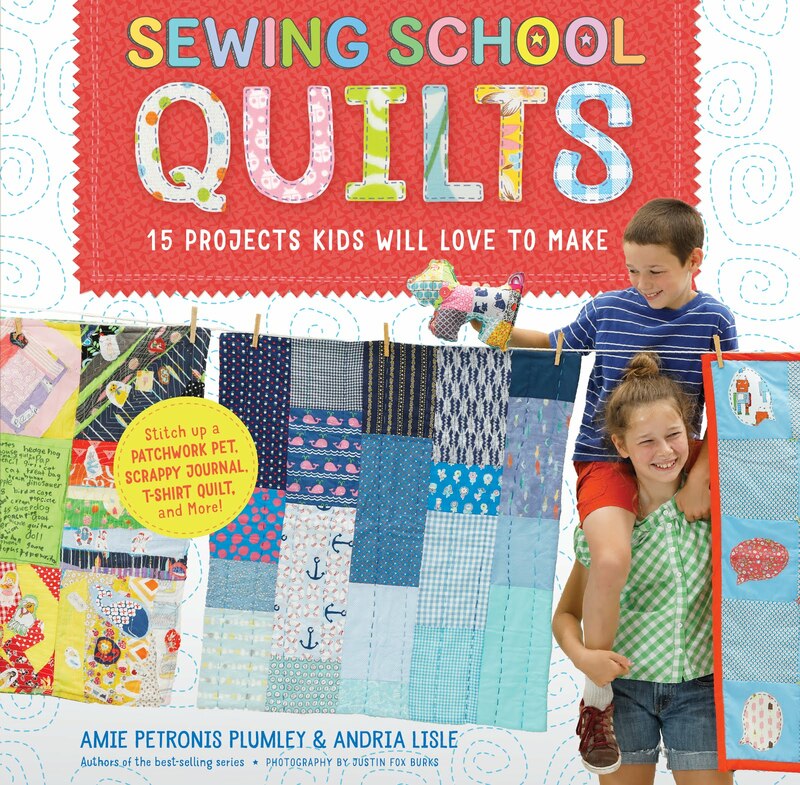 While younger kids can do most of the projects, many have a tweenish feel to them. The wonderful photography by Justin Fox Burks really captured the kids and spirit of the book. We love, love, love the "Make It Yours" section. This is filled with kid-made examples of the projects to inspire others to have fun with the projects. 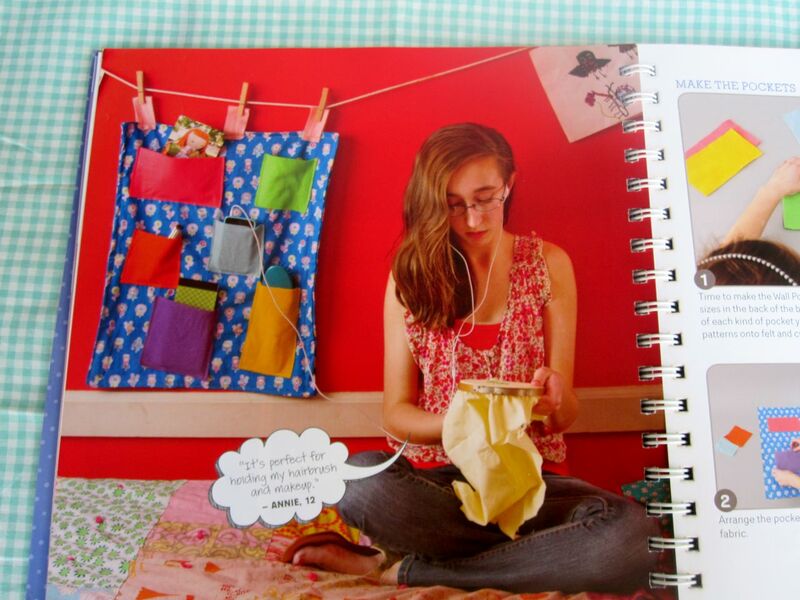 Here you'll also see hand-sewn versions of projects if you aren't machine sewing. Since machine sewing can be a little tricky at times, the useful "Skill Check" sections break down new skills such as How to Make a Casing, Sewing in a Circle, and Pin It! Each chapter has a sidebar filled with fun extra stuff like a Secret Code for the Secret Message Pillow and a Sewing Playlist to go along with the Rock On Guitar! Andria and I are crazy about these little touches that make the book so much more than just a simple how-to. 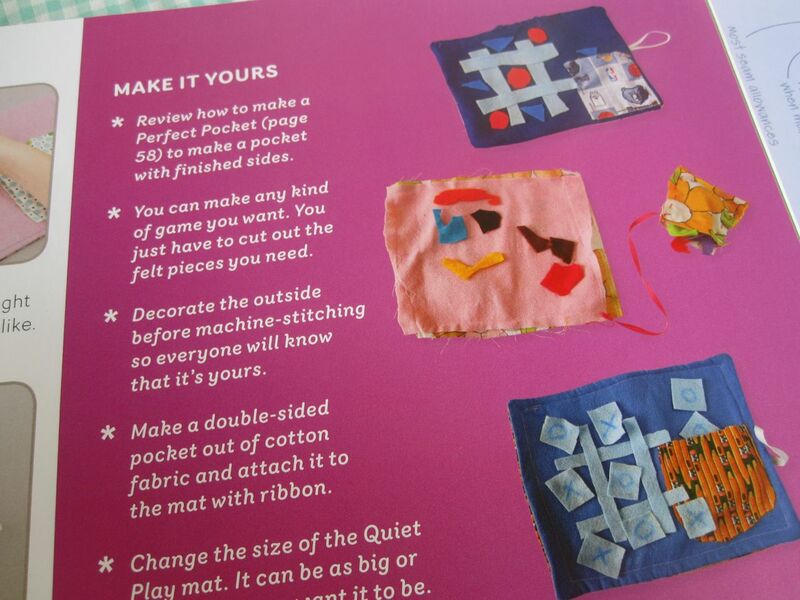 At the end, you'll find a pocket of full-sized patterns! Yay! No going to the copy machine for you. The patterns even have a photo of the project on them for easy finding. 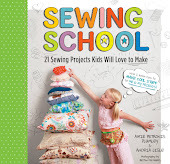 I hope you and the kids in your life will enjoy Sewing School 2! 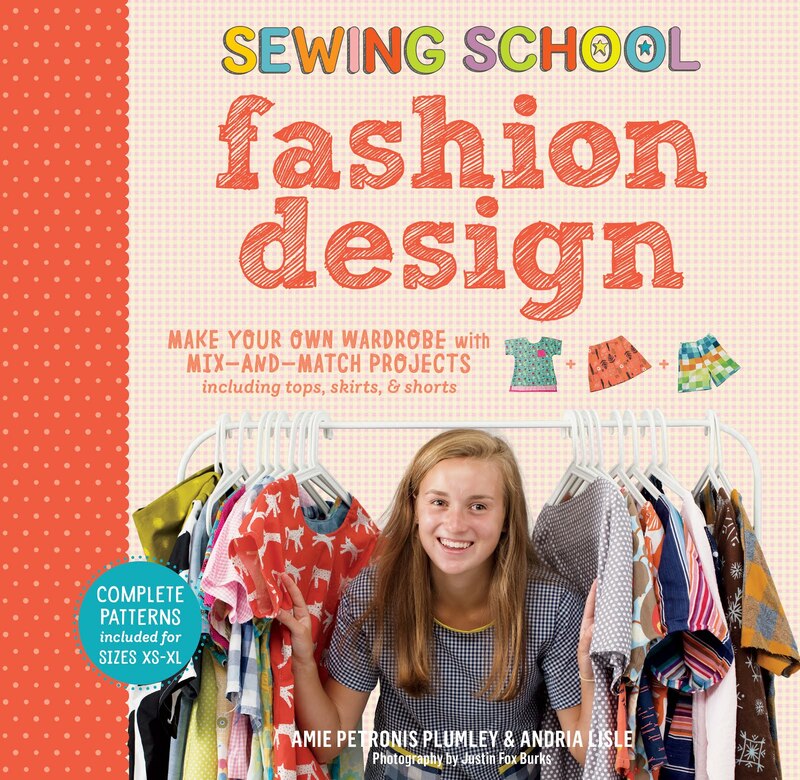 Hopefully, it's already found its way to your favorite book and fabric stores, and you can also order it on Amazon. I'm so excited! Just in time for my used to be 5 year old (when she got your first book) to turn 7 and my then 3 year old to turn 5. I'll be ordering 2! Do you have a beginner sewing machine that you recommend? I am looking for one for my 7 year old, but want it to last for a long time as well. 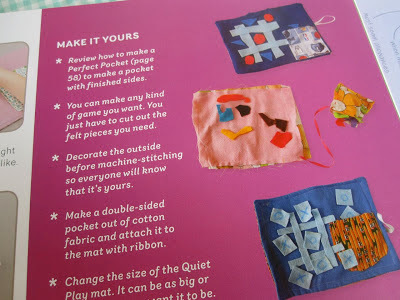 For 7 year olds, I typically recommend the Janome Sew Mini because it's much slower and easier to use than a full-sized machine.